Argon offers entry-level 3D modeling without the commitment of high-end professional packages. It contains the same solid and surface modeling, rendering engine and animation tools found in Cobalt™ and Xenon™, but without the high-end mechanical design and extreme productivity features you may not need yet. For both Macintosh and Windows, Argon lets you model and render with such a straightforward interface that you’ll forget you’re using a computer. Intended for those needing precision 3D modeling without cumbersome parametric history. 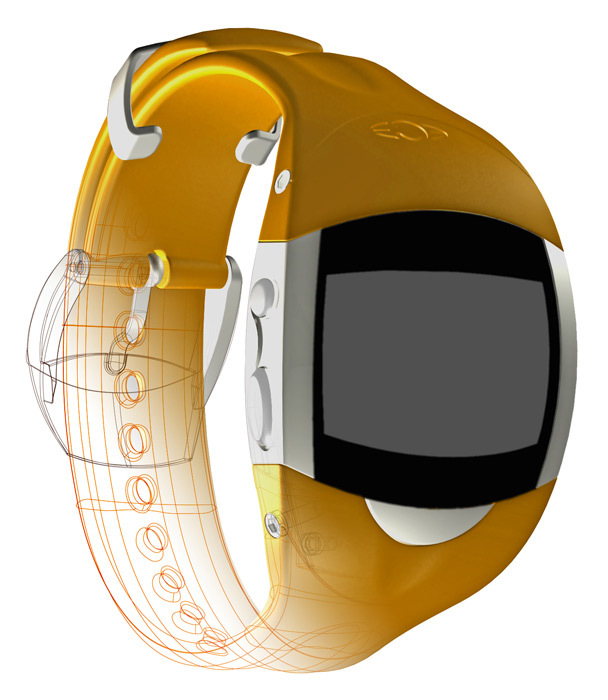 Luc Heiligenstein designed this sports watch using both Ashlar-Vellum drafting and 3D modeling software. For upper management, 3D photo-realistic models of the product are like 3D illustrations. They have more influence to sell product ideas. Read more about Luc’s success with Ashlar-Vellum’s CAD and 3D modeling software. The Vellum® magic is addictive—ask any Ashlar-Vellum customer why they use our products and you’ll hear about “Vellumness.” Across our product line, the uniting element is the magical feel of creative simplicity and efficient power. It anticipates your needs and quietly offers help without distraction or intrusion. Another key differentiating factor setting Ashlar-Vellum above the competition is that the firm offers rendering and animation in the same software, without even requiring users to switch the mode of use. Switch seamlessly among modeling tools—create a solid then add a surface—or the other way around. Don’t change modes or views, simply work with any tool, any way you want. Work in a non-linear creative environment—only Ashlar-Vellum’s Organic Workflow™ allows designers to create outstanding products through easy design iteration, transparent tools, and hands-on control of the production process. Start anywhere necessary within the design process and move freely in any direction. This allows the creative process to sustain radical change while still maintaining integrity. 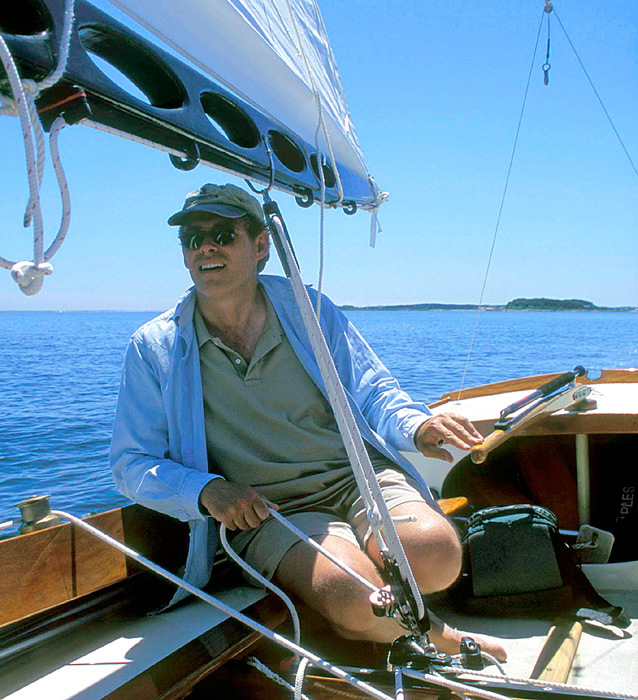 Yacht designer Antonio Dias, was frustrated with typical CAD programs. Then he discovered that Ashlar-Vellum 3D modeling software, freeing himself to focus purely on the art and precision design (to 1/1000 of an inch) of his boats. There is no transition from 2D to 3D—no filling up pages with scads of guesstimated properties—the software does all that for you! Not having an engineering background, this definitely gives me a solid foundation to do the work I’m good at. Read more about Tony’s success with Ashlar-Vellum 3D modeling software. Draw any shape—break through the limits of traditional CAD’s lines, arcs and circles to the world of organic shapes, free flowing curves and sensual lines. Facilitate and improve manufacturing and analysis—3D models enable CAM-driven machining, rapid prototyping like stereolithography, and allow engineering analysis to be performed. Without them, you’re working in the dark. Rise above the competition—leading design innovators share a common tool: Ashlar-Vellum products. From renowned jewelry designers in New York and Paris to athletic equipment companies in the Pacific Northwest, from Apple Computer to Scaled Composites, Argon’s flexibility frees creative people to focus on design. 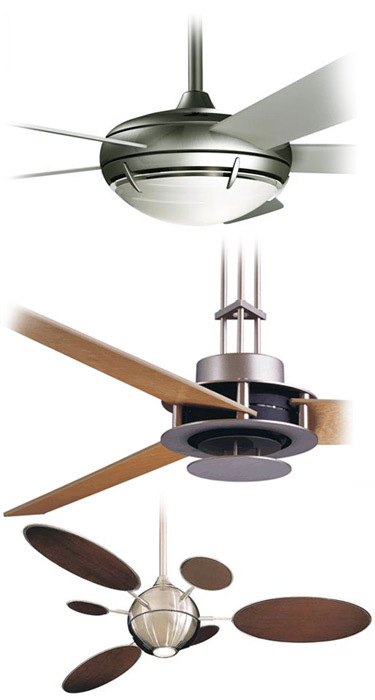 Award winning designer Mark Gajewsky GSquared created the San Francisco, Cirque and Como ceiling fans. Ashlar-Vellum software has allowed me to translate my ideas into reality and to share my visions. Being able to model and photo-realistically render sculptural 3D shapes was very valuable in selling my ideas to others. Learn more about Mark’s success using Ashlar-Vellum 3D modeling software. Transfer files seamlessly—collaborate creatively with others. Even files from high-end, enterprise-based CAD programs can be imported and exported. Work within the power and elegance of the Vellum® interface, then export the file to meet the demands of less enlightened CAD users. Show what you mean—the photo-realistic rendering in Argon goes beyond visualization to reality. 3D models promote greater understanding among designers, customers and manufacturing. 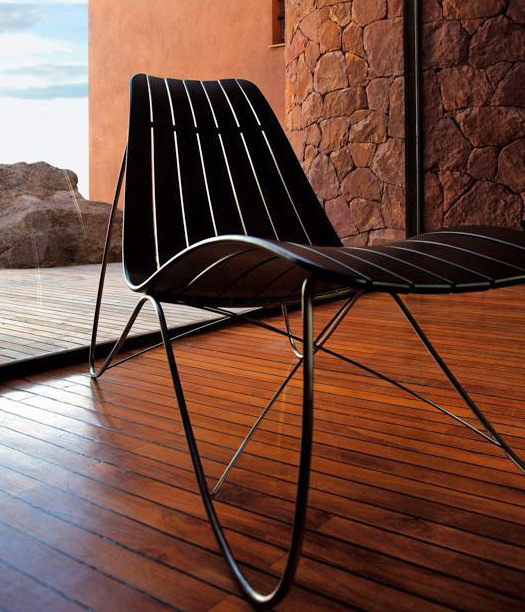 Mark Robson, designer of the Kolorado Lounge Chair for Sifas. The seemingly simple, curved-slat surface of this furniture range would have been difficult to calculate precisely without easy-to-use 3D software like Argon. Each central slat is identical. Read about Mark’s success using Argon 3D modeling software. Class-A NURBS surfaces, ACIS solids and intuitive wireframe are in one seamless package. Unique Organic Workflow design process lets you work any way you choose. Non-modal interface lets you switch between modeling techniques and approaches on the fly. Dynamic dimensioning for rapid modifications to your engineering drawings. More than 30 professional translators included FREE.